Hello, hello ! Long time, no see. Though I’ve been around in my social media pages, it’s been a long time since I wrote a blog post. I just ended up having a long, unplanned summer vacation from the blogging world. I’ve been battling with my skin issues getting worse. 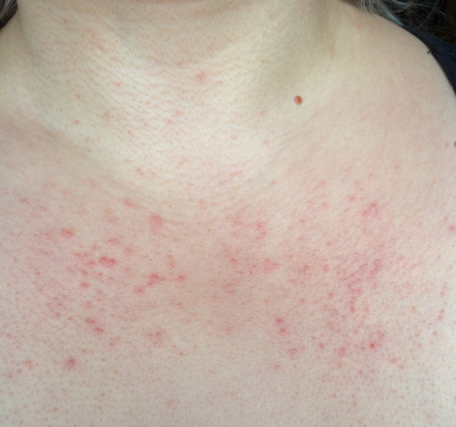 My face is still very red and has a rash on it as well as my chest area has red rash on it. 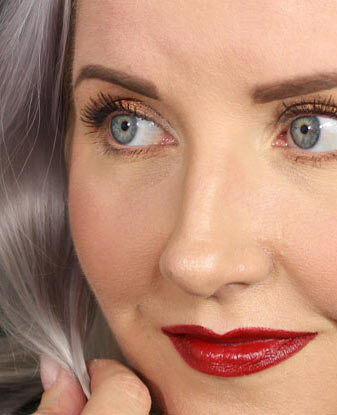 I went to a dermatologist and the problems have now been diagnosed as rosacea. I’m taking medication for it and applying a cream twice a day so I’m hoping to see things getting a bit better. Red face I can kinda live with since I can cover that with makeup pretty easy as long as the skin is smooth. The chest area bothers me more. Photo below was taken before I went to see the doctor. I’ve been on the meds for a week now and I don’t see much of a difference yet but it can take a few weeks before things start getting better. So fingers crossed that I can finally get over these skin problems. To make things worse, my nails also decided to fall apart completely. I think I went through some kind of after pregnancy hormonal change. At first there was this horizontal line on all my nails where you could see the nail started to grow thinner. That became visible a few months after giving birth. When this line grew out for about three months it reached the sides of the free edge and I got these deep painful tears to many of my nails. I kept fighting it trying to glue the nails and just tried grow the tears out. It didn’t really work. More tears happened and many of my nails had to be filed short. After a while I simply gave up and put the UV-gel layover back on my nails. 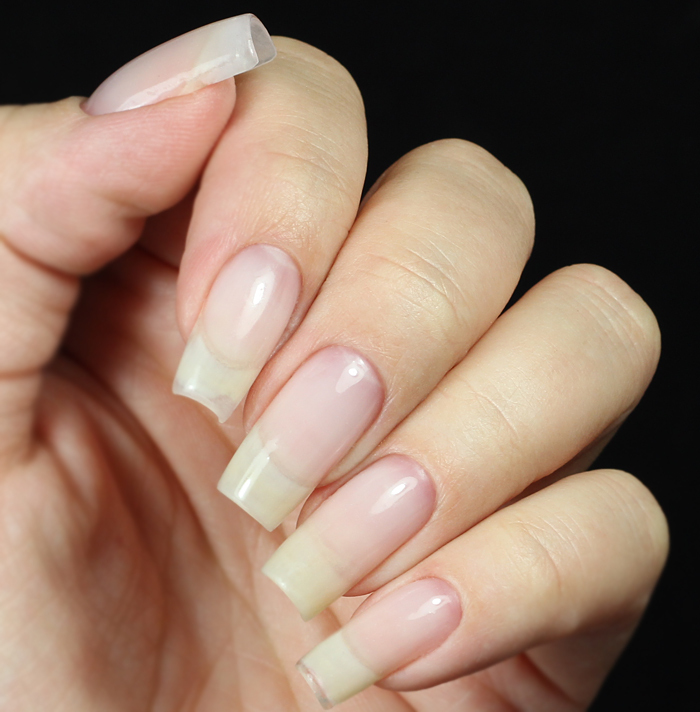 I used the gel to sculpt the length back on the nails that were shorter too. My nails are now bit longer than I can grow them to be without the layover but I’m not planning on going super long or stiletto style at this time. So this is where we I am now. Gel layover is back on my nails and I will keep you updated about the rosacea situation and let you know if the treatment helps. Dance Legend Urban Decay F.U.N. Lacquer Subscription box Studs Mavala Lookfantastic Beauty Box Nail growing Oumaxi Bliss Kiss Base coat Jindie Nails Eyeshadow Rhinestones Cuticles Gradient Color Club China Glaze Essie Pure Color 10 Stamping Dollish Polish A England Acrylic paint Glitter Gal Lipstick Illamasqua KIKO Delush Polish Polishers Inc. MAC Wet n Wild Blush Born Pretty Store O.P.I.